The Sandusky Lee Bamboo Top Wire Cart is an all-purpose cart a removable 1.5" thick bamboo top which can be used as a cutting board. It has a wire shelf and a basket shelf. The cart smoothly moves on four 3-inch swivel casters, two of which can be locked. A convenient push handle is added to allow easy steering. 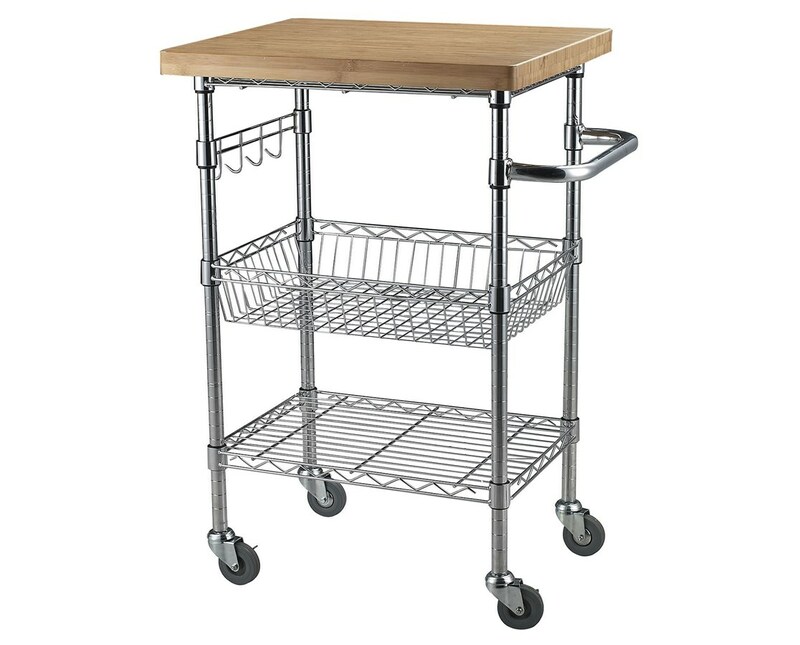 The cart’s shelves are fully adjustable and move in 1-inch increments. These shelves have a weight capacity of 175 lbs each. The cart also includes a sidebar with four fixed hooks for handling towels, utensils and other items. 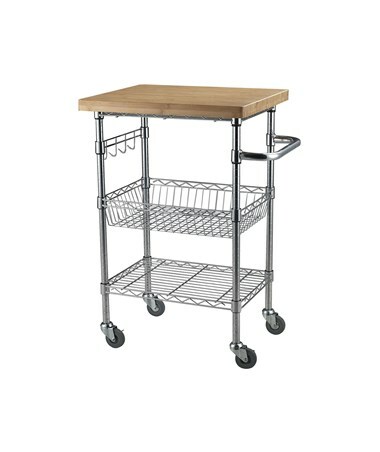 This wire cart’s body is made of steel with a chrome finish, while its top is made of bamboo wood. This cart is National Sanitation Foundation (NSF) certified.